Philanthropy Committee- Members of the philanthropy committee bring forth opportunities and discussion related to philanthropic ways to grow revenue for the school to expand the reach of the school through scholarships and additional student engagement opportunities. Ideal members would be connected to the community through business or personal relationships as well as have a desire to help those in need. This is a great opportunity for those interested in networking or a retired development professional looking to give back to a local non-profit. 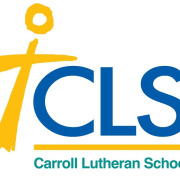 Marketing Committee- CLS continues to promote the school to grow enrollment. The committee is made up of professionals who have a variety of backgrounds including web design, social media, traditional marketing, business to business marketing and general community business members. Ideal members of this committee would have some experience within marketing (as a designer or user) or someone who enjoys writing for blogs/websites. The committee could always use additional experts in all areas of marketing. This is a great opportunity for someone starting out in a marketing/communications field or a retired individual who wants to continue using their skills to help the mission of a local non-profit. Each committee meets about once a month (either in-person or virtual) and has coordinated email communication throughout the month. Possible outreach meetings within the community to speak about CLS with another board/committee member or staff member.